Steps of Justice, established in 2011, is a registered not-profit that educates people about issues of injustice, like poverty, slavery ad the refugee crisis. We also provide practical ways that you can get involved through prayer, giving and action. Our vision is to bring an awareness of injustice issues that lead us to action.  Steps is a ministry of Youth With A Mission (YWAM) international. We desire to see the great commission fulfilled through loving God and loving others. The 30 day Prayer & Action Guide. Justice focussed Mission Trips, both in San Diego and internationally. Here are a few ways that you can get more involved. Pray– Pray that God gives you His heart for areas of injustice. William Wilberforce paved the way for the abolitionist movement through prayer. Educate– Educate yourself on injustice issues through this site and the 30 Day Prayer & Action Guide. Then, educate others. Encourage– Encourage others to get involved in areas of injustice, they can start with the Prayer guide or a Steps trip. Support– You can support Steps of Justice financially, or support us by heading over to our Facebook, Twitter, and Instagram Page. Rescue– Rescue the oppressed. You can do this by volunteering at a homeless shelter in your town, serving the refugee community or supporting local and international rescue missions. Restore– Help restore people to wholeness through coming on a trip with Steps of Justice, or supporting a restoration ministry in your town. Steps of Justice, Box 390184, San Diego, CA, 92149, United States.